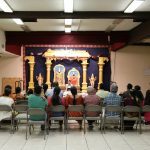 By the grace of His Holiness Sri Muralidhara Swamiji, GOD USA began the New Year 2012 with a grand Utsav led by Sri Poornimaji at Houston Namadwaar. 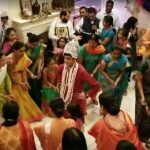 At the heels of the annual celebrations, Poornimaji conducted several satsangs in and around Greater Houston area to further immerse the devotees in the ocean of nectarine bliss of Bhagavata Dharma. Her pravachans captivated the town with an emotional chord, and with content embracing deep philosophical truths so easily delivered as a package just suited for people in this day and age. 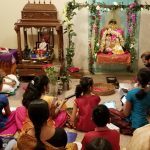 On Thursday, January 5th 2012, Poornimaji spoke at the residence of Smt Prathibha/Sri Sanjeev Sachdev on the topic of Guru Mahima to an audience of 25 people. 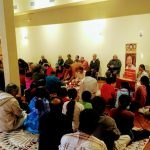 On Friday, the 6th of January 2012, she spoke to a rapt audience on the Glory of Divine Names at the residence of Smt Lakshmiji and Sri Maheshji where more than 35 had gathered. 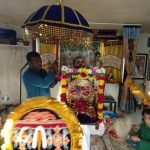 The next day, she talked to 20+ people, about Thiruppavai, at Smt Ranjanaji and Tupil Narasimanji’s home in Houston, and on Sunday evening, she did a prayer satsang for the family of Smt Sowmyaji. 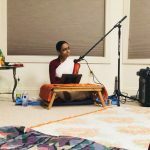 In addition, Poornimaji was interviewed by the Voice of Sanatan radio station on Sunday, Jan 8th where she touched on the importance of the month of Margazhi, Srimad Bhagavatam and about Namadwaar. Leaving Houston hungry for more of her insights, she continued her travels to the rest of the United States of America. One Response to "Poornimaji’s Houston Satsangs in Jan’2012"